482 Arroyo is proud to offer two affordable income units available for purchase! Two, one-bedroom units will are available to income qualified buyers. Absolutely brilliant, luxurious, contemporary living. Each home is a one-bedroom featuring a wide-open, light filled space, with high-end finishes and city views. THE FOLLOWING BASIC INFORMATION IS PROVIDED FOR INFORMATIONAL PURPOSES ONLY. ADDITIONAL INFORMATION WAS INCLUDED IN THE APPLICATION PACKAGE. THE APPLICATION WINDOW HAS CLOSED, AND WE ARE CURRENTLY REVIEWING A LARGE NUMBER OF APPLICATIONS. The units offered for sale are available to qualified buyers in the Very Low Income category. The maximum number of people who can reside within the units is limited to three people. The following are the income categories for 1, 2, and 3 person families. Please check back here for additional dates (ie: future open house dates). Buyers who reside AND are employed within the City of Pasadena. Retired individuals receive credit for working within Pasadena if their last paid work (20+ hours/week) occurred in Pasadena. Within each priority level, applicants will be further sorted by a variety of factors, including: (a) documented ability to close (ie: bank pre-approval letter or cash on hand), (b) down payment (20%, 5%), and (c) length of Pasadena residency (2 years, 1 year, 6 months, 1 month, N/A). Applications will be made available to eligible individuals about a week after registering on this site. Please visit our Request Affordable Info page to sign up to receive more information. Successful applicants will have provided a complete application, including proof of income and residency (as applicable), along with proof of ability to close (financial ability). Applicants should include verification on availability, source, and type of funds (financed or cash purchase). If intending to finance, an applicant shall include a lender “Preapproval Letter” as specified in the application requirements. Please note that “Prequalification Letters” are not accepted and are not the same as “Preapproval Letters”. We strongly recommend that applications be submitted early whenever possible. Submitting early increases the chance that an application with errors or missing information might be able to be corrected before the application deadline. For additional information, please see our FAQ (Frequently Asked Questions) list below or attend one of our open houses. For information on additional affordable housing opportunities, please see: www.livingstonepasadena.com and www.pasadenahousingsearch.com. To receive an application package, please Register On This Site. If you need to contact us directly, please email pasadenacondos@gmail.com . We typically will respond within four business days. Please note that we will add to this page, and to this section, as we identify additional questions to address. Where can I find additional information about affordable units being offered? Additional information about affordable unit for-sale condo availability can be found at two project web sites: www.482arroyo.com and www.livingstonepasadena.com. Additional information about available affordable housing can be found on a site sponsored by the City of Pasadena, www.pasadenahousingsearch.com. Why and how are these units being sold? The City of Pasadena provides affordable home ownership opportunities to income-eligible home buyers through an Inclusionary Housing Program. Homes become available for purchase when new developments with Inclusionary Units are built or when homeowners of Inclusionary Units decide to sell. The City records a Purchaser Affordability Agreement (deed restriction) on each affordable home that remains on title for a period of 45 years. The lien ensures that the City is able to enforce the Inclusionary Housing Program requirements, which includes resale, owner-occupancy, and lease restrictions. When an Inclusionary unit is resold to another income-eligible buyer, a new Purchaser Affordability Agreement is recorded. 139 South Los Robles (aka “The Livingstone”), and 482 South Arroyo Parkway each have two (2) units for “Very Low-Income” home buyers that will be sold under the City of Pasadena’s Inclusionary Housing Program. Prices are calculated for program affordability — this calculation is not driven by property values or other market conditions. 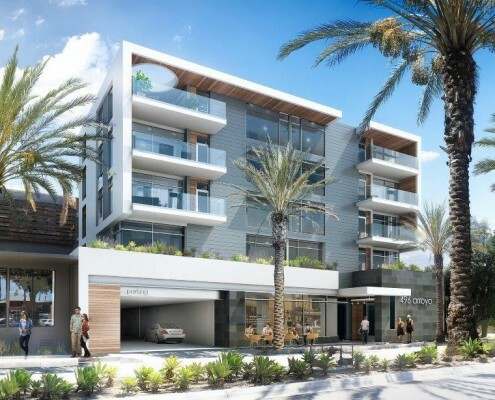 The Arroyo Parkway units will have lower sales prices than the Los Robles units as the Arroyo Units currently have higher monthly HOA fees than the Los Robles units. The Los Robles and Arroyo Parkway projects have different management teams and ownership structures. Since both projects received approval to sell the low income units on the same date, July 19, 2017 (finalized on July 31, 2017), the management teams have decided to conduct a joint marketing program. What units are available for sale? At 139 S. Los Robles, two one-bedroom units (ranging in size from approximately 730 to 760 square feet) are available at $34,930 and $29,908 each. At 482 S. Arroyo, two one-bedroom units (approximately 888 square feet each) are available for $19,392 each. What are the current HOA (Home Owner Association) fees at each property? The current HOA fee at 139 S. Los Robles for unit 106 is approximately $350/month, and for unit 309 approximately $320/month. The current HOA at 482 S. Arroyo for each unit is approximately $413/month. The higher HOA cost at Arroyo is the primary reason the Arroyo units are offered at lower sales prices. HOA fees at each property are subject to change in the future. Do the units come with parking spaces? Each one-bedroom unit comes with a single parking space. The buildings do not have any additional parking spaces for sale or lease. Can a purchaser resell an affordable price unit? Yes, however, the unit remains a dead-restricted, protected ‘affordable’ unit for 45 years. The City of Pasadena has a first right of refusal to purchase the unit, and even if the unit is sold in the open market, it should remain an affordable unit. During the 45 year restricted period, if for any reason it is sold at open market prices, the City of Pasadena is entitled to any profit from the sale. After 45 years an owner can do whatever they wish the unit. Neither the two projects nor the City of Pasadena is able to provide loans for the purchase of these units. Potential purchasers may obtain financing from banks, their own savings, and/or friends and family. If you are looking for bank financing, you are encouraged to talk to lenders immediately. The affordable nature of these units is likely to increase the time a lender will take to approve a loan for one of these units, and some lenders may not have an interest on making loans this small. Is the listed sales price the total sales price? Are there any additional fees? The listed sales price is not an all-inclusive, out-the-door price to the buyer. Customary buyer costs normally included in an escrow shall apply. Can a buyer rent out the unit, either now or in the future? According to the City of Pasadena’s Housing Office, the units cannot be rented out, even at ‘affordable’ low income rates. If an Owner no longer intends to occupy the unit as their principal place of residence, they must put up the unit for sale and provide the City with their written intent to sell. What happens if a buyer decides to sell an affordable unit in the future? An owner’s written notice to the City of intent to sell would be required. The City of Pasadena has the right of first refusal (ROFR) to acquire the property at the then-prevailing affordable sale price. According to the City’s Housing Office, it would be likely that the City would choose to exercise the ROFR. The affordable price would be set by essentially the same method as currently used. As previously noted, in the year 2062 (45 years from initial sale), none of these restrictions apply and the units may be sold on the open market. I am unable to attend any of the open houses but am still interested. How can I see them? You may still submit a fully completed application even if you have not seen the units. If you are selected for one of the units, we would be happy to give you a private no-obligation tour before you would be required to enter escrow. If for any reason you decided you were no longer interested, another potential buyer would be selected. What should I keep in mind while completing an application? The most important thing to keep in mind while completing your application is that applications need to be complete to be considered. We’ve already received at least one application in which no supporting documentation was included (including no proof of funds), and which questions were left unanswered on the form. It was not a valid submission. If questions arise about your application once submitted, the developers and/or the city might ask for additional clarifications or documentation, however, applications should be materially complete by the submission deadline. How is eligibility treated if not everyone I currently live with would be moving to the new unit? People have asked about program eligibility in cases in which a potential applicant is currently living with family members and/or roommates, but these other people would not be moving with them to the new unit. Per the City, maximum income (and household size) limits would be for the household that would be living in the new unit, not the one you are living in now. People not moving into the new units would not have their income counted for these limits. Please note, however, that if your current household size is greater than your new household size, your application will likely require extra review by the City of Pasadena’s Housing Office. The City would require, amongst other things, information on where people not moving into the new unit would be living. Additionally, all potential buyers selected for this program will have to sign a document, under penalty of perjury, that all information provided by the applicant has been truthful in fact and spirit. I’m getting some funds from family or friends, how do I document this in the application? All applications require proof of available funds (loan and/or cash). If you are getting funds from another individual(s), please include a breakdown of each source of funds and amount. If some funds are coming from a private person, a letter from them documenting that they would be providing you a certain amount of funds is required. Proof of funds on hand such as bank statements (from you and from any other person providing funds) should be included. How do I provide proof of Pasadena residency, especially if I don’t have a lease under my name? There are multiple ways to document whether or not an applicant is a resident of Pasadena or not. In addition to leases (if they exist), addresses listed on tax returns, utility bills, bank statements, and/or drivers license, can all be used to help provide documentation of residency. If there are any discrepancies between addresses listed in supplied documents and you are claiming Pasadena residency, please include an explanation of the discrepancies with your application. We are currently reviewing a large number of applications. If you do not receive an email from us about your application by Friday, September 22, 2017, please contact us immediately.